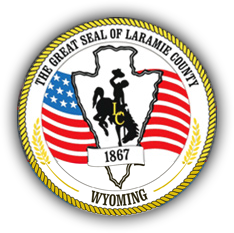 The Laramie County Records Center provides a full range of services to all county offices under the general direction of the Laramie County Clerk. These services include records management, electronic imaging, purchasing, and centralized mail services. The Records Center does not provide records directly to the public. If you are looking for a particular type of record, you should contact the department or office of origin. To obtain or inquire about a record listed below, contact the office shown in the right-hand column. Access to indexes for early land records, recorded documents and marriage records from 1867 thru October of 1985 is available thru ArcaSearch. Access to various Surveyor Field Books, including those of E.P. Kelley, T.H. Baldwin, CSSA and others are available online. Documents include historic county roads. Image files are being continuously updated as scanning continues. Click on the link below to access these records.